New Near-Death Experience research from Dr. Jeffrey Long challenges science’s understanding of the afterlife. 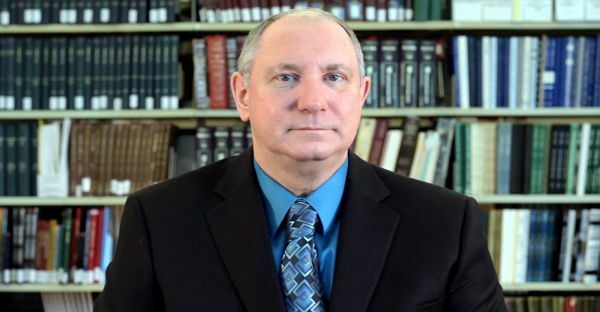 Alex Tsakiris: Dr. Long, you’ve written this second book, God and the Afterlife. We’ve covered a lot of your background, and your long-time experience studying near-death experience science … and that you’re a physician, and that you’re careful about your research, but with that title, a lot of people are going to assume, this is a religious book. Did you have a religious agenda with this book? Dr. Jeff Long: Absolutely not. My only thought was I was developing the research behind the God and the Afterlife. I just wanted to know the truth. I set out with a commitment that whatever I was going to find, I was going to publish. Wherever that path would go. Somewhat to my astonishment, as I kept digging into near-death experiences, I encountered God. And I was amazed once again at the consistency at what was being described. I have two hundred seventy-seven near-death experiences that either were aware of or encountered God. It’s not a small study. So I just really wanted to publish what I found. There’s no religious agenda at all with this. In fact, if you talk to people that encountered God in their near-death experiences, it really seems to be, while it’s God, it doesn’t seem to be related to their prior religious beliefs. Whatever religious belief they had doesn’t seem to affect the probability of them encountering God or what will happen when they do encounter God in their near-death experience. So God seems to be in near-death experiences very independent from religion. Alex Tsakiris: Dr. Long, in 2010 you published Evidence of the Afterlife: The Science of Near-Death Experiences. New York Times’ Bestseller, a game-changer really, for science, because the evidence you presented was very straightforward and very compelling. Your conclusion, by every way we can look at it, [is that] consciousness seems to survive death for these people. These people who are experiencing near-death experience, but I still get e-mails all the time from people who don’t know that. For example, you investigated people who were blind from birth and the first and only time they ever regained sight was during a near-death experience; or that you published a medical survey with thousands of participants; or that when you asked them to verify their near-death experience, 96% of them who went and verified it were able to verify that. So can we start there? Can we recap a little bit about that evidence that you uncovered and published in that first book? Dr. Jeff Long: I’ve been collecting data now for over 17 years. All the way back in 1998, the Near-Death Experience Research Foundation website came up. Immediately from the day it came up, we had a very detailed survey asking the near-death experiencers a great-many questions so that we could learn, not only from a large number of experiencers, but to learn in-depth by drilling down, if you will, with many many questions exactly what happened during their near-death experiences. Well, that was a long time ago. We now have over 4,000 near-death experiences actually posted in the nderf.org website. This is by far the largest near-death experience study that has ever been conducted. That’s exciting, and that’s important because that allows us to have more confidence than ever in these groundbreaking conclusions that we’ll be talking about today. Alex Tsakiris: Great. Let me add to that with a question about NDE research and this study that you’re talking about. So let’s let people know, first of all, that you are a full-time radiation oncologist, a cancer doctor. You work for a hospital there in Houma, Louisiana, outside of New Orleans, but you’re also a scientist and a medical researcher; someone who, beyond your full-time job, had an interest in this and was able to approach it in a scientific way like true medical research. Do you want to talk a little bit about that? Dr. Jeff Long: Yes, absolutely. My medical practice, which I practice full-time, is radiation oncology, which is the use of radiation to treat cancer. I have a very busy full-time practice here in Houma, Louisiana, which is about an hour outside of New Orleans. But in addition to being exceptionally busy in my professional practice, if you will, my second full-time job is doing that near-death experience research. I’ve been taking that research very, very seriously just like I would professional medical research that I do. My professional Curriculum Vitae is seven pages long. I’ve done a lot of research over the years. I take it very, very seriously, and I understand the things that you need to think about – the meticulousness and the importance of doing it right. So I brought all that skillset into my experience on the research that I did on near-death experience and that led to the conclusions I got from the evidence. It was based on the best scientific and medical investigative techniques that we could possibly find for doing this type of research. Alex Tsakiris: And the research that came out of that, I thought was just stunning. For example, I mentioned briefly a minute ago that you found people that were blind from birth, and yet the first and only time they ever experienced sight was during their near-death experience. You found …from a physician, this was really important to you…but you found that people were having near-death experiences during anesthesia, during heavy anesthesia. That was unexplainable. 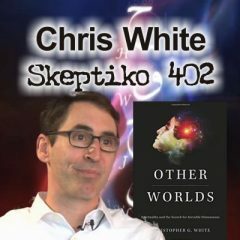 Can you recap some of the most surprising results, to you as a physician, that came out of that initial research that you did and published in the book, Evidence of the Afterlife? Dr. Jeff Long: I think everybody’s got favorite near-death experience accounts, but perhaps among my most favorite of all time was Vicky. Vicky was born totally blind. And in those born totally blind, vision is unknown and unknowable. You can’t explain vision to somebody born blind in terms of the remaining four senses. I’ve tried it, and it’s impossible. Vicky was a professional singer. She was being driven home one day after a performance, and there was this very serious auto accident. So serious indeed that she nearly died. The first time Vicky saw herself was when she had her near-death experience. Her consciousness separated from her body. From her vantage point above her body, she saw herself laying on the gurney below. She didn’t know that was her. She was horrified, actually, was her first emotional sense because vision was so unknown to her for her entire life. It was after she calmed down a little bit and correlated the feel of her long hair, and interestingly, she could feel a ring that her father had given her all her life. Now for the first time in her life, she was seeing it. Only when she correlated it with her newfound sense of vision that she understood that that was her down there. Vicky went on to have an amazingly detailed, highly visual near-death experience. In fact, she described vision in the way many near-death experiencers do and that’s what’s called 360-degree vision. That means she can simultaneously see in front of her, back of her, right, left, and up and down. Technically, it’s spherical vision, and she was able to simultaneously process that. We’ve had many, many other near-death experience accounts that describe that exact same thing. Interestingly talking to Vicky later, she assumed everybody on the planet had spherical vision like she experienced. Because remember, she’d never known vision in any other way. To this day, I think she has a hard time grasping how the rest of us have sort of a pie-shaped visual feel that don’t really see things the way she did that one time, that one amazing time during the near-death experience that she had. Alex Tsakiris: So, great. Let’s pack that back into the broader results that you have, because that’s one account and one of the things you’ll hear from people who are not very open to the near-death experience science…the kind of stuff that you do…is they want to pick apart cases and say, “Gee, that’s an anecdote and that’s just one case.” What I think you’ve done, and maybe you want to explain…because you did say you did this meticulous research, you know, for a medical survey…you’re asking a hundred and fifty questions. You’re correlating these questions that are difficult to see if they answer it the same way. There’s other little tricks that you do. You’re reviewing it as a medical professional to see if it’s real. So you have in these surveys kind of two aspects of it. One, data that you can correlate like a good medical scientist would, and that you have these narrative descriptions, which are super powerful and important, but tell us how you use both of those tools to come to your conclusions. Dr. Jeff Long: Well again, being very meticulous and cautious in my research, one of the first things you have to do is make sure that the experience is valid. We ask many questions in our hundred fifty-question survey in a redundant fashion. That means basically the same question worded slightly differently to a different part of the survey. That way we can match up the responses and make sure that they line up that they’re sharing the same responses to the same basic question. Second,a very important thing when I reviewed near-death experiences, I’m a physician. I’ve done this now a thousand times. For me, it’s relatively easy to see if the life-threatening event that they described and the medical treatment they got, the subsequent medical recovery from that close brush with death, does that really add up medically? It’s very easy for me to make that determination, again because as a physician, that’s my bread and butter. So those are sort of the reality checks on each and every near-death experience to make sure that when we post it on the website when we use it in our research, we can be crystal clear from very careful inspection, that yes, this is a near-death experience. It really happened. Alex Tsakiris: So Dr. Long, let me probe a little bit further about the types of near-death experience research that’s out there. Because over the years, I’ve interviewed a lot of near-death experience researchers. For example, just the other day, I interviewed this guy, a nice enough guy, from University of California. He’s doing his post-doctorate fellowship. He’s part of a team. They receive $4,000,000 from the Templeton Foundation to study near-death experiences. So I speak to him about his research. It turns out he didn’t really do any original research. He didn’t go into a hospital, into a cardiac arrest ward, and talk to patients there. He didn’t, as you did, develop a hundred-and-fifty question medical survey and give it to hundreds of near-death experience researchers. Yes, he published his results. We talked about his book. He concluded that near-death experiences aren’t real in the way that we’re talking about. They don’t suggest that consciousness seems to survive bodily death. So I guess the question is for the average person who’s trying to sort through this idea of near-death experience science research, how do they sort through it? How do they know what research really holds up out there? Dr. Jeff Long: The key thing is to know a few of the consistently seen elements of near-death experience that are the strongest evidence for their reality. For example, when you’re under general anesthesia, it should be impossible to have a lucid organized remembrance of that time. In fact, under anesthesia, you’re typically so far under with general anesthesia that they often have to breathe for you. Your brain literally shut down to the level of the brain stem. At that point in time, some people have a cardiac arrest. The heart stops, and of course, that’s very well documented. They monitor people very carefully that are having general anesthesia. So I have dozens and dozens of near-death experiences that have occurred under general anesthesia. At this time, it should be, if you will, doubly impossible to have a conscious remembrance. Yet, they do have near-death experiences at this time, and they’re typical near-death experiences. They have the same elements and appear to have them in the same order as near-death experiences occurring under all of their circumstances. In fact, a critical survey question I asked was what their level of consciousness and alertness during the experience was. Even under general anesthetics, under those powerful chemicals, it can produce sedation … if they had a near-death experience under general anesthesia, their level of consciousness and alertness was identical to near-death experiences occurring under all other circumstances. There’s absolutely no way the skeptics can explain that away. It’s impossible. That in it of itself is some of the strongest single-line of evidence that near-death experiences have to be independent of brain functioning. There’s simply no way you can be under general anesthesia and have a highly lucid organized experience like that, and especially one that’s consistently seen throughout near-death experience research. So that’s probably the strongest line of evidence we have that the physical brain, as we know it, simply cannot produce the near-death experience. Dr. Jeff Long: You know, that is an amazingly good point. It is astounding to me too that we have people that publish, write books, write scholarly papers about near-death experience that have literally never talked to someone who had a near-death experience. That is some of the most bizarre research I can possibly imagine. It makes no sense to me, and I’m sure everybody that sees this video is going to think, “Gosh. How is that even possible? How can somebody claim that they’re doing near-death experience research and never ever even talked to someone who had a near-death experience?” Well, the answer is you can’t. If you’re going to investigate near-death experiences, you have to talk to the near-death experiencers and you have to understand what happened during the near-death experience. You have to look at the evidence as I’ve published for their lines of evidence that all converge on the validity. That’s what really matters in assessing the reality of near-death experience, not the hypothesis that these other researchers generate about how near-death experiences might occur. That’s ridiculous. What really matters is here’s what happens during a near-death experience. Here’s the evidence for the reality. Can you refute that evidence or not? With regard to the skeptics trying to refute the evidence for the reality of near-death experiences, they haven’t come close. They simply cannot explain away all of the lines of evidence for near-death experience that me and so many other near-death experience researchers so consistently see. Alex Tsakiris: Okay. So Dr. Long, now you’ve written this second book, God and the Afterlife. Even though we’ve covered a lot of your background here already about you or long-time experience with studying near-death experience research … that you’re a physician, that you’re careful about it, I’ve got to tell you with that title, a lot of people are going to assume, this is a religious book. Did you have a religious agenda with this book? Dr. Jeff Long: Absolutely not. My only thought was I was developing the research behind the God and the Afterlife book and the research there was I just wanted to know the truth. I set out with that commitment that whatever I was going to find, I was going to publish, wherever that path would go. To my somewhat astonishment as I kept digging into near-death experiences that wherever I encountered God, I was amazed once again at the consistency at what was being described. I have two hundred seventy-seven near-death experiences that either were aware of or encountered God. It’s not a small study. So I just really wanted to publish what I found. There’s no religious agenda at all with this. In fact if you talk to people who encountered God in their near-death experiences, it really seems to be, while it’s God, it doesn’t seem to be related to their prior religious beliefs. Whatever religious belief they had doesn’t seem to affect the probability of them encountering God or what will happen when they do encounter God in their near-death experience. So God seems to be in near-death experiences very independent from religion. Alex Tsakiris: So one more point on your background there. Have you ever had an NDE? Has anyone close to you had an NDE? Why the interest in this topic? Dr. Jeff Long: Sure. I’ve never personally had a near-death experience, and never, thank goodness, has anyone close to me had a near-death experience. 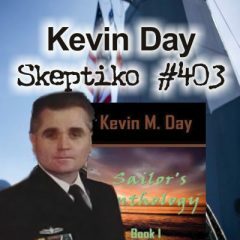 I guess my interest began over a quarter of a century ago when I was going through the journal of the American Medical Association, one of the most prestigious medical journals in the world looking for a cancer-related article. Quite by accident, I found an article that had in its title, Near-Death Experience. I’d never heard of that before. All my medical training up to that point had not really exposed to me to the term near-death experience. So I stopped what I was doing, read the article and was immediately astonished. Here was a description of near-death experiences occurring what I knew medically should be impossible when they were unconscious. Here they were occurring all around the world, elements in consistent order, very consistently observed among multiple researchers. I realized immediately on reading just that one article that if near-death experiences are for real, this changes my view of the universe. I mean there’s something going on that I simply didn’t know, and I was astounded to think we might even have evidence. So many years later after that, I set up the Near-Death Experience Research Foundation website. My goal in doing that was to learn for my self, the original source of evidence, that being people who actually had near-death experiences to learn the truth. That’s what I wanted to know with the best evidence that I could find; that being people who have had near-death experiences and had the courage to share them with me and in turn have me share them with the world on the website. It wasn’t too long after I started receiving near-death experiences all the way back in 1998, I realized, “Wow. No question about it. The consistencies are really there … this is amazing.” Medically, I can’t explain this. Near-death experiences are, as best I can tell, in one word, real. 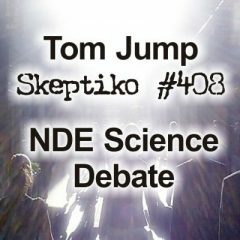 Alex Tsakiris: Jeff, I’ve got to ask this question because I have spoken with a lot of NDE researchers, and most of the ones I spoke to tell a very similar story. Also, embedded in that story is kind of a surprise that other people, professionals who encounter this data, aren’t moved in the same way that you are. Because, come on. This is a game changer for medicine, for science, for everything. They think it’s a little bit hard for people to grasp your story in the sense that why doesn’t every medical professional that run across this throw up their hands and say, “Okay. I have to kind of start all over in looking at this question.” Have you given any thought to that? Dr. Jeff Long: That’s a real good point. I think each and every person on this earth at some time or another wonders, “Gosh, what happens when we die?” Medical professionals, like everybody else, are going to say, “Gosh, will his death in our earthly life at the end?” I’m amazed that more people aren’t interested in that; that more people don’t want to look for the evidence. It gives us some idea that answers that core foundation question that I think is on the back of our minds for many of us throughout our entire life. It is amazing to me that there are more people interested in near-death experience, interested in those lines of evidence that suggest there really is an afterlife, that suggest that consciousness survives physical bodily death. I’m amazed there isn’t a flood of interest from other people in the medical community, the scientific community, and even more so in the public at large sharing my fascination with near-death experiences and especially some of those profound messages that we so consistently see in near-death experiences. Alex Tsakiris: Okay. So Dr. Long, we talked about your first book, Evidence of the Afterlife. That was really a “what book”, if you will. You know, what are these things, these strange things that people report but the brush with death when they are in the hospital and maybe they have a cardiac arrest and it’s unexplainable. Your second book builds on that, but it takes this huge step of asking why, the meaning question behind near-death experiences. What was it like for you to take that step? Were you worried about taking that step? I think as you just mentioned, everyone has that in the back of their mind. They want to know, “Okay. Why? Why? Why?” What was it like for you to even contemplate really tackling that big question? Dr. Jeff Long: I guess I’ve been fascinated with the big questions in human existence. Is there an afterlife? Is there a God? What is the meaning and purpose of our earthly lives? So I guess I’ve thought about that for years and years. As I kept reading near-death experiences by the hundreds, and finally the thousands, I was astounded to see answers consistently being developed across hundreds and hundreds of near-death experiences, all remarkably consistent. So I guess I was somewhat excited about doing this research. I felt like I was in a pioneering effort and sort of on a forefront of a potentially great knowledge, but that was coupled with a little bit of fear. I mean, here I am, a doctor and quite prominent in my community and home. Here I am talking about a research related to God, related to things. It’s ordinarily the domain of religion. So I was a little bit concerned, would that be a concern to people? Would that be a problem? Would people wonder what are doctors doing? Would this be a turf battle as I study . . . some of the big questions of our earthly existence? I’m happy to say that my concerns were a little bit overblown. People have embraced this book. They love it. The feedback has been unbelievably positive. I’ve spoken at two different churches, a very liberal one and a very conservative one, and they’ve invited me back from both churches. So people are fascinated by this kind of material. They’re fascinated by the evidence that God exists. What they’ve been taught to take on faith, what they hoped would be true, now all of a sudden we’re saying, “Hey, it’s a basic scientific principle that if it’s real, it’s consistently observed.” Oh my, gosh. Do we consistently observe God in near-death experiences? Over two hundred near-death experiences, all remarkably similar about what people are encountering, about what people share about that later, and the news is amazingly good that they’re bringing back. Alex Tsakiris: Okay. Let’s get to the news. 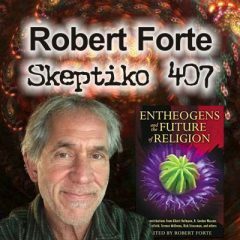 In the book, God in the Afterlife, you asked, “During your experience, did you encounter any specific information or awareness that God or a supreme being either does or does not exist?” And then, you said you broke it down and said … What did they believe before their experience, and what did they believe currently as they’re answering the survey, and the choices you gave them were, “God definitely exists; God probably exists; I was uncertain if God exists; God probably doesn’t exist; or God definitely doesn’t exist.” What did you find out? Alex Tsakiris: Let’s talk about this, Jeff. The question was open-ended in a way that you asked, “Did you experience or have any awareness of God or a supreme being?” And then, you were asking the question kind of in the affirmative, “Did you get that information?” But, you also looked through the narrative responses and you said, “Did you get any response that God doesn’t exist? Did you get any specific information telling you, ‘No. There is no such thing as God.’” What was the answer to that question? Alex Tsakiris: Dr. Long, the next topic I want to talk about is love. I want to talk about love. You asked questions about love. Ever since your first book, when I got the download from you on the love thing and how central it seems to be to near-death experiencers, I always bring it up with people; people on both sides of this issue, if you will. I’m always surprised at how people want to deflect the question or get away from it. Even near-death experience researchers want to talk about tunnels or out-of-body experiences, and yet the central part of this experience of so many people seems to be this thing about love. How did you ask this question and what did you find out? Dr. Jeff Long: The wording in my survey that I asked all these near-death experiencers was whether they encountered any information regarding love during their near-death experience. Again, very important, I wanted information only from the near-death experience itself. To my abject astonishment, there was a hugely high percentage of people. A higher percentage of people encountered that information about love than say, encountered deceased relatives that went through a tunnel, that had a life review. All these other sort of commonly known elements of the near-death experience, and yet encountering information about love in the very same survey had a much higher percentage of the near-death experiencers answering affirmatively. This is exciting news. Again, I’m surprised that more near-death experiencers don’t focus in on that. Again, if you’d listen to what the near-death experiencers say, if you listen to what’s really important to them, what really changes their lives over and over again, it’s that love thing. They have learned that there is a love on the other side that is beyond anything they knew during their earthly life. They learn how important it is for love, for the rest of their earthly life. They realized that they’re so profoundly loved beyond anything they could’ve thought possible, and if you could just imagine for any one of us, if you really really deep down knew from your own personal experience how profoundly loved and important you really are, how could that not change your life? Alex Tsakiris: We have a personal not here because I think a lot of people are like me in the way that this love thing is hard. I mean I don’t know why it’s hard, but it’s mostly for guys and the way we were raised and conditioned. I want to emphasize your data because some of us need the data to actually open us up to the reality of this and take it in more seriously. Do you have any thoughts on that? Dr. Jeff Long: Yes. As a researcher, I’m data driven. I really like to see the evidence behind it, and that has to have data that underlies it before I really accept it as being evidence for any particular point I’m trying to make in my near-death experience research. So that’s why this evidence about love is so interesting. I mean here we have over 58% of people that had a near-death experience saying they encountered specific information or awareness about love in their near-death experience. Very exciting finding, very much tells us that that’s a very critical important common, very common part of the near-death experience that’s shockingly people just haven’t asked that much for. Yet, for the near-death experiencers themselves, very often they’ll share that it’s among the most important awareness they have during their near-death experience. Alex Tsakiris: Jeff, let’s talk about religion because we’ve sprinkled some little pieces of that in here. This is not a religious book. As a matter of fact, for some religious people, some of the information that you found they’ll find very shocking and in some cases, probably unsettling. Tell us how you approached the religious question, how you probed it, and what you discovered. Dr. Jeff Long: When I was writing that book, I was very clear that this was information that addressed many people’s diverse religious beliefs. So how was able to do the research and then write a book on that? One word, courage. I was so committed to knowing the truth about near-death experiences, and so committed to sharing that reality with the world that I was committed that whatever I found in my research, I was going to share with the world. That’s exactly what I did. Remarkably, that book has been very well received. I mean when we talk about God in this book, the great majority of people including huge talks with huge numbers of people at two different churches, one liberal and one conservative, were fascinated. They loved it. I mean we had questions going on for about an hour, both churches. God and near-death experiences, the concepts of love, some of the spiritual information in near-death experiences seems to really touch a chord with everybody, whatever their prior religious belief would be. I think now more than ever, people are open to that. They’re interested in that, and I think they’re especially interested when the news is so profoundly good as I discovered in my research. Alex Tsakiris: Well, let’s be clear because one of the conclusions from the book over and over again is that these experiences may be spiritual, but they don’t seem to be religious. You probed that question by looking at people’s religious beliefs, both before and after the experience. Looking at whether their specific religious beliefs changed, or whether their general sense of spirituality and connection with God changed. Tell us what you found out. Dr. Jeff Long: Yes. People that have a near-death experience and especially those that encounter God may change their religion or they may not. It’s about a 50-50. What’s really interesting, and I think the take home message is, even for those people whose firsthand personal experience in their near-death experience was an encounter with God. About half of them find complete comfort and security in the religion that they had. The religion, if you will, you choose that I’m finding God, the afterlife, and some of the other findings in my book, remarkably seem to fit in very well to hugely diverse religious beliefs. In fact, we asked specifically, “What’s your religious belief at the time you had your near-death experience and the time you shared it about 20 years later?” Liberal, moderate or conservative fundamentalist, and we have huge numbers of near-death experiencers in all three categories. So it doesn’t seem to be what specific religion you are. It just seems to be near-death experiencers have this awareness, and they seem to be able to find a place of worship that’s comfortable with their beliefs that are often heavily influenced by their near-death experience, seemingly throughout the entire world and across a whole breadth of different religious backgrounds, including even non-Western religious beliefs. Alex Tsakiris: One of the stats that really jumped out to me from the religion section is the number of people who have a near-death experience and their sense of the importance of spirituality in their life, the number of people for which that goes down. Right? So I had a near-death experience, and you ask the question, “Is this spiritual stuff important to you in your life?” Some people said, “It went down.” But it was a very, very very small number of people who said that, and almost everyone said, “No. That’s one thing I’m sure of. The importance of this is definitely increased after my near-death experience.” Do you want to speak to that? Dr. Jeff Long: Yes. We asked a survey question directly that asks about the importance of their religious or spiritual beliefs and how they live it in their lives. There were two questions for that. One, what was the importance to you of your religious and spiritual belief when you had your near-death experience? And, what about your religious spiritual belief and how important is that to your life now 20 years later? Right? When they’re sharing their near-death experience, a mammoth increase in the percentage of people after their near-death experience believing that their religious spiritual life is much more important to them than it ever was before. They’re thinking about it more. It’s more important. It seems to be a factor in their life. It seems to help affect them make decisions in their life, much much more than it was earlier in their life before they had their near-death experience. Alex Tsakiris: I think there’s a random question that goes with this from your survey that, in a way, is so stunning that it’s almost easy to gloss over. You asked people who experienced God or some kind of supreme being or just that sense that this is the big thing out there, you asked them about the reality of that experience. And the stat that you got back, I thought, was stunning. 96.2% of people said, “That was definitely real.” 20 years later, that was definitely real. Dr. Jeff Long: Yes. That’s absolutely true. Those are the group of people that encounter God, and I think you and I and perhaps a lot of others would say, “Well, how sure are they? Are they sure their near-death experience was real? With their near-death experience including an awareness or encounter with God? How sure are they about that anyway?” Amazingly, and I asked that question directly, how do you consider the reality of your experience at the current time? 96.2% of those who encountered God out of four different possibilities picked the highest level of certainty. That’s saying they believed that their experience, their near-death experience was definitely real. Alex Tsakiris: Compare that, I mean … and I’m sure this data is out there. I don’t have it on my fingertips, but if you ask someone about a dream that they had, it was a very significant dream and you said, “Did you really have that dream?” Or you just ask them about an experience they had in life. I’d pick any of these if you just ask me about an experience I had 20 years ago. Many of them would say, “I’m not kind of totally sure.” Let’s put this in perspective in terms of how big of a percentage this is. Dr. Jeff Long: Yes. I mean that’s just an amazing percentage for somebody who has such an unearthly experience, and it encounters God as a part of a profoundly unearthly experience unlike anything that they’ve had in their life. For 96.2% of people to come back and say it’s definitely real is a profound message. That really shows how confident they are that what they encountered was real. That’s not surprising because you see huge changes in these people’s lives. People don’t change their lives radically unless they have a very strong reason to change. For these near-death experiencers, by the hundreds and actually in my research database, by the thousands, they’ve had their near-death experience. Virtually, all of them know that it absolutely was real. Of course, not surprisingly, they go on to make huge changes as a response to what they had learned during their near-death experience. Alex Tsakiris: Dr. Long, how has this research changed you? You just talked about change. You worked at this tremendously hard. Your wife, Jody Long, who is an attorney, highly qualified, an author who has written her own book. She works along with you on this incredibly hard and the biggest website of its type in the world. How has this research changed you personally? Dr. Jeff Long: It changed me substantially. What I learned about God was, in many ways, significantly different from what I had been taught to believe in God. I grew up in a classic, if you will, Protestant church. So what my research showed me was, to my amazement, different from what I would’ve believed I was going to find. But again, the evidence was so strong and we had such a big survey over time and the narrative when you read about how people describe encountering God and some of these unearthly encounters they had in near-death experience, it has been so profoundly touching to me that I’ve really changed. I’ve embraced what the near-death experiencers have to say. It’s a much more positive view of God that I’ve ever had in my life, and it has certainly changed me professionally. I’m a more compassionate loving physician than I’ve ever been before in my life. That’s made a huge difference in my practice. In fact, the leading survey of patient satisfaction is called Press Ganey. For five straight quarters of the year, my Radiation Therapy department has scored at the 99th percentile, which is amazing. I’m almost certain, of course, a lot of that says a lot about these amazing people I work with. But certainly, I’m also having a part of that too. It’s helped me to reach out to the staff I work with, to the other doctors and certainly the patients that we serve in their battle with cancer with more courage, more compassion and more love than has ever been possible before. People appreciate that. I think it’s really helped people live their life and their battle with cancer better. It’s really been interesting to see how I feel stronger, more confident, more loving about what I am as a doctor than I’ve ever been before. Alex Tsakiris: Because, Jeff, actually that’s what I wanted to do in this section. Just kind of talk about a couple of things that are maybe slightly outside the book, specifically but the first place I’d go was directly with this question that we’ve been talking about the hyper-criticism that near-death experience science seems to draw in. 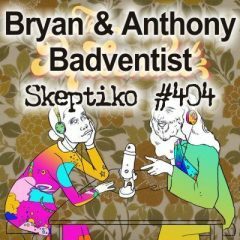 We’ve used the term skeptics. 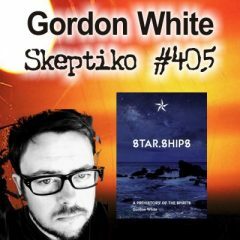 You’ve used the term skeptics. I’d really like to avoid using that term because I think it gives people the wrong impression. The objections that I see in near-death experience science are coming from mainstream science. A lot of times they’re coming from neuroscience. A lot of times they’re coming from philosophy, but these are people that are not fringy skeptics. A lot of them are very mainstream people like the guy I mentioned before at the University of California, the guys with the Templeton Grant. They’re not fringe-y. They write it in. So here’s the question. I guess, cynical people, if they’re clever, can turn any issue into a mud fight. We see that every time we turn on the news. Science is no different. It muddies the water. It makes it hard for the people to understand. Why is science attacking this? What is at stake for science with near-death experience research that they’re so afraid of? Dr. Jeff Long: Yes. I think the concept of near-death experiences, that were much more than our physical brain, that there really is an immaterial part of us that survives bodily death, is radically different from what mainstream science believes and has taught for literally for centuries that I think near-death experience evidence is such a huge paradigm shift that it’s unfamiliar certainly to a lot of scientists. It is certainly disconcerting to them when it flies in the face of everything that they’ve ever believed or even taught in a classroom for years or decades. So I think that there’s a lot of scientists in the mainstream that will just simply instinctively assume that it cannot be true and seek out the evidence that will help justify their beliefs. I think when you see the mainstream scientists push back on near-death experience and startlingly ignore some of the profoundly strong evidence that near-death experience is for real, certainly reminds me as a researcher. Unlike those types of scientists, we have to be of anything more open-minded than ever. We have to carefully study their arguments, study the concerns about the reality of near-death experience, and only after we’ve carefully considered the alternative explanations that they have been found to be wanting of alternative, or if you will, skeptical explanations don’t explain near-death experience. Then and only then, do I go confidently before the world and say, “Near-death experiences are real.” I’ve walked that journey. I’ve looked over every single argument against near-death experience that I can find. By the way, there’s over twenty of them. Over the years, it seems like a new skeptical alternative explanation of near-death experience comes along. The reason there’s that many of these alternative explanations is very simple, and that is there’s no one or several alternative explanations of near-death experience that make sense even to mainstream scientists. Alex Tsakiris: Yet, we cannot overemphasize the extent to which this conflicts with the existing paradigm. I mean we hear about the hard problem of consciousness. This totally throws that out the window. Hey, take the easy problem of consciousness. What they say is the easy problem of consciousness, which is, “Oh, we understand how vision works. We understand how hearing works.” Really? Here are people that don’t have a brain, don’t have a visual cortex, don’t have eardrums and they’re saying … I mean we cannot overemphasize what a huge paradigm shift this is. Yet, sometimes we do. I think even near-death experience researchers want to take their foot off the gas pedal a little bit, and kind of pretend like all of this doesn’t completely overturn science, but it does, doesn’t it? Dr. Jeff Long: I think it really does. I think when you have the evidence that is so powerful and … by the way, I’ve had a lot of people share their near-death experiences that were skeptical scientists at the time that they had their near-death experiences. I’m here to tell you a near-death experience cures near-death experience, just leave. Whether you’re a doctor, scientist, or whatever your prior belief about near-death experience, once you’ve had one, almost uniformly, you’ll know it’s real. It’s true in mainstream science to have evidence like this is very difficult. I think what I’ve seen for mainstream scientists that are attacking near-death experiences in general, they raise hypotheses – brain electrical activity, brain chemistry, and fragments of memory. There’s all of these hypotheses about why near-death experiences could occur, but almost never will you find a person who’s attacking near-death experience, who doesn’t at the level of the kind of evidence we’re talking about here – near-death experiences and those born totally blind; near-death experiences in general anesthesia; the strikingly accurate out-of-body observations that occur in near-death experiences, even far from the physical body and far outside of any physical sensory awareness. This is the kind of evidence that makes mainstream scientists attacking near-death experience very uncomfortable. In general, you’re not going to hear them address it. Alex Tsakiris: You know, Jeff, it even makes people uncomfortable who have crossed over to the other side because you’re also suggesting a hierarchy of consciousness. So if I’m a philosopher and I’m cutting edge consciousness guy and I’m willing to say, “Okay,” everything is consciousness. Everything is quantum mind. Everything I could possibly experience emerges out of the same stuff. It’s all consciousness. Hey, you know what? You’ve come along if your findings seem to conflict with that too, this idealism idea because you’re saying that you’re finding an order and a hierarchy to consciousness. Here are dead relatives who you know … not only did you know them when you were alive, but they’ve been following you and they can tell you what’s going on in your life. Here are spirits and angels who say, “I am at this level, but there’s other levels above me.” People even have a personal experience with “Hey, I met some being and they were at a higher level.” What does this say about the hierarchy of consciousness and what does that do to folks who just want to have this kind of consciousness blob out there? Dr. Jeff Long: Yes, and again I’m not … we talked about this and our hierarchy of consciousness. This … this isn’t something that is speculation. This isn’t something we’re doing that’s wishful thinking. This is based on evidence that being very consistently observed, many many observations. You’re back to that fundamental scientific principle. If it’s real, it’s going to be consistently observed, and that’s exactly what we’re seeing here sort of that hierarchy of consciousness consistently observed in a vast number of near-death experiences. Alex Tsakiris: So Jeff, I’m skeptical. 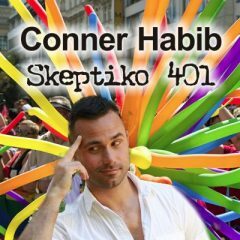 I’ve tried to explore a lot of these alternative ideas about consciousness with the best data that we have. So near-death experience being one of those kind of alternative experiences that make us think differently about consciousness, but there are a lot of very smart forward-thinking people who are starting to try and connect the dots with regard to these extended consciousness experiences. They’re willing to say, “Okay, yes. It looks like near-death experiences are real, but it also looks like these other forms of after-death communication are real – BDMs, past lives. Hey, maybe that seems to be real the best way we can push to it. The best way we can push forward that research.” They also want to look at psychedelic experiences and shamanic experiences and say, “Hey, there seem to be a reality to that the best way we can poke into it. Maybe we even should take seriously alien contact experiences?” Because when we start looking at them as best we can and some very smart people like Harvard psychologist and psychiatrist, John Mack have looked at it and said, “You know what? These seem to be real. I know what delusional people are. These people don’t seem to be delusional. They’re also reaching this extended consciousness realm.” But here’s the question and here’s the issue, I return then to your findings. I find something different when I look at the near-death experiences. I see some similarities but I also see some differences. The question is what do you think near-death experience science can offer us as a way of looking at and understanding these extended consciousness realities? Dr. Jeff Long: I think the most direct response to your question would be one near-death experiencer shared. She was in this unearthly, call it heavenly, afterlife during her near-death experience. Overwhelming feelings of love and peace, and here in this near-death experience was God. For the first time, this near-death experiencer in a near-death experience asked God directly, “Why me? Why was I allowed to have this happen to me?” That being this incredibly beautiful near-death experience. I think God’s answer was very meaningful and directly relevant to this question. God answered that near-death experiencer, “Love falls on everyone equally. This is what you needed to live your earthly life.” So I think as you start thinking about consciousness, you need to be aware that there’s sort of a supreme consciousness. There’s an order and purpose in the universe. I think it’s certainly here on earth. There’s probably one in some of the lower level. The consciousness and the alertness that we encounter in a near-death experience is off the scale in terms of what we’re aware of in our earthly lives. You can have a life review in a near-death experience and encounter decades of your prior life in what would literally be less than a minute seeming of time in a near-death experience. So I think as you study near-death experiences, you have that rather exciting and rather startling awareness that there’s that frontier out there – consciousness, sort of a unified consciousness, an order and purpose in the universe, and a purpose that’s led to us being here in our earthly life that has been amazing to me as I’ve done the research and found that, and certainly amazing to people that have read my book and have studied this in their own way. Hopefully, we’re right at the frontier where more and more people are going to learn about this with further research because I think that kind of knowledge could change the world. Alex Tsakiris: Let me approach it from a slightly different direction. You know a couple of years ago, I interviewed Dr. Rick Strassman, from the University of New Mexico. The only researcher in the United States in the last … I don’t know how many years … who has been granted the right to use the very powerful hallucinogenic drug, DMT, on patients and to study the results. What he experienced with his patients, to his great surprise were people reaching these extended consciousness realms. In many a ways, it sounds similar to the kind of realms that NDE-ers are experiencing. The beings sound different. Some of the messages sound different, connection in love, but there are also differences. Do you think near-death experience gives us a different view vantage point with which to understand these extended consciousness realms? Alex Tsakiris: Isn’t it also true that some of the most recent research that probes that further finds that the brain is actually less active during some of these psychedelic experiences, which would suggest that there’s some similarity with the near-death experience and that it’s not just a brain thing? There is some kind of extended consciousness realm and the overlap that I guess is the part that I’m pushing towards, I don’t want you to speculate on what that overlap is or the extent to which it is or a reality or not, but I guess what I’m really wanting to probe with you because you’re in such a unique position is does the NDE research give us a platform, if you will, from which we might understand not only the NDE experience but some of these other extended experiences too? What are the limits or problems associated with that? Dr. Jeff Long: Yes, I think that’s a good point. I encourage any kind of research that starts to look at the fundamental questions about consciousness. We ought to be having a lot more research into DMT, Psylocybe and other psychotropic drugs than we do now because it is exciting. There is some question about the overlap in near-death experience, maybe, maybe not. We’re really going to answer that if we do more research. We need more investigation. We need to really compare those experiences head-to-head. Why don’t we have ideally a group of people who have had a detailed near-death experience try some of these psychoactive drugs and compare and contrast the experience? So even basic research like that, so that you would be able to have people through first-hand experiences compare and contrast hasn’t been done yet. But I think the more we do that kind of research, the more we do that courageously and open-mindedly, I think we’re going to continue to push that envelope and learn more and more about consciousness. To me, that’s exciting. Alex Tsakiris: One of the things that’s really exciting about your work, Dr. Long, is that it’s essentially an open-source science effort in a lot of ways. Anyone can go on the website and review like I have, just scores and scores of these accounts. In addition to the research that you’ve published in your book, they can gain benefit from that. What do you think there is about that trend, about that open-source science trend that I think people really are so attracted to? Do you think that could be a trend, a broader trend that we might see in the future? Dr. Jeff Long: You know I sure hope so. That’s one of the real strengths of my research is that anybody in the world can look up those near-death experience accounts that I referenced in my research and read the entirety of the account and find out for themselves exactly not only what we shared, what I quote in my research, but also the entire context of the experience, what occurred during and after that. So I think the open-source research really is important for a couple of reasons. One, it’s transparency. We’re making incredible claims – shared consciousness, God, meaning, and purpose of our earthly life, and the importance of love. In a way we never thought about it before. So I think transparency is important in that people can say, “Hey. Here’s that chain of evidence all the way down to reading the original account.” We can follow it. It’s transparency of research that is here … almost impossible to find. I think the second thing that that kind of ability to look up the original NDE accounts that we’re trying to accomplish is it helps the credibility. Again, these are remarkable claims. There’s life after death. There’s a blissful afterlife for all of us. So to have people go to those original sources of evidence that being the near-death experiences to read it themselves, I think it’s helping people all around the world that go through that path, take that journey, spend the time to read the near-death experiences that are really coming to learn. Supplementing what we’ve learned as near-death experience researchers that near-death experiences are real, you can easily see these patterns that we’ve been talking about. I think it’s really helping people understand, not only that near-death experiences are real, but they do have these profound important messages that touch not only the lives of near-death experiencers, but I think you take that little piece of heaven back with you when you read a lot of near-death experience accounts. It could certainly change lives even if you’ve never even had a personal near-death experience. 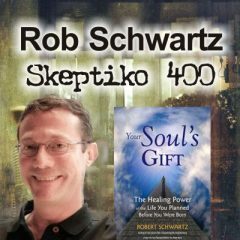 Alex Tsakiris: Well, these are two of the most important books that anyone could read if they’re interested in this near-death experience topic. Maybe they’re probably on the list of the most important books you could read, period. 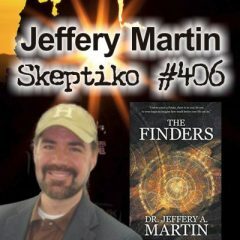 Evidence of the Afterlife, the Science of Near-death Experiences was your first book; the new book, God in the Afterlife, both from Dr. Jeffrey Long whom we’ve been talking with today. Dr. Long, what’s next? I’m sure you’re going to be doing a full-bore effort on getting God in the Afterlife out there. You’ve already mentioned some of the things you’re doing. What are you doing with the book, and then what comes next after this? Dr. Jeff Long: You know I think a lot of that is where my interest is. What the public, what the world wants to hear about; I’m open. With four thousand near-death experiences in my database, we could go back and look at research about the reality of near-death experience. We could go back and look at those deeper spiritual messages, which I’m kind of inclined to do at this point in time because that’s so new and exciting to me. People seem to love it whenever they hear about it. We could even study other types of experiences. I have a whole website to go to the after death communication, out-of-body experiences, these things we call spiritually transformative events. So I’ve got a whole host of different options that I could pick from. It’s kind of tough, but I think wherever my interest align with the interests of the world, once that happens there’s going to be another book. Stay tuned.